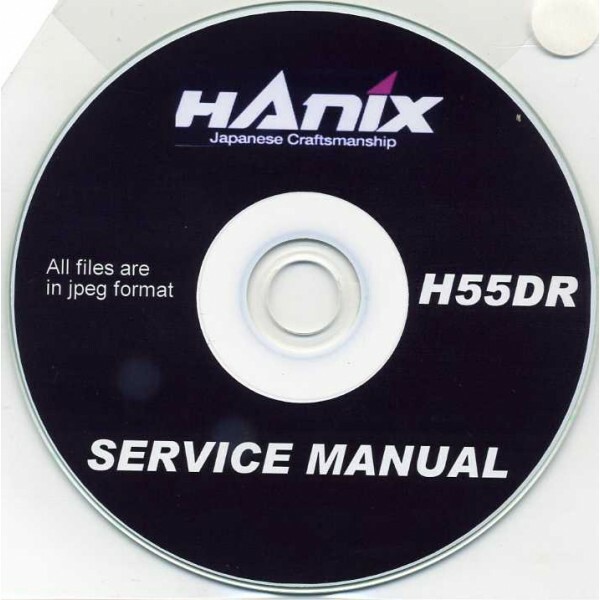 This CD contains the service manual for the Hanix H55DR. Enhanced and each page is a true digital scan of the original. Many more Hanix manuals in stock. Operator's manuals, Workshop manuals & Parts lists.